The TP530 Rotary Table is manufactured with wide thru-hole and increased clamping force. This rotary table ensures high precision during applications. 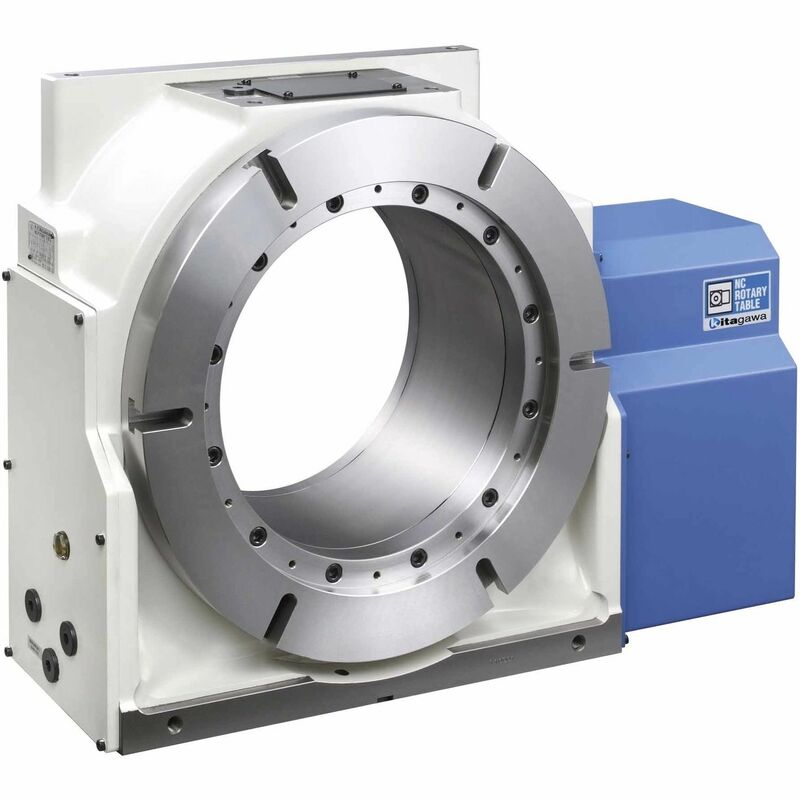 The faceplate has a diameter of 400 mm, while the spindle thru-hole has a diameter of 346 mm. It utilizes a hydraulic clamping method with a 6,100 Nm clamping force. It has maximum spindle speed of 11.1 rpm and an indexing accuracy of 20 sec. This 350-kg rotary table has a repeatability of 4 sec and works with an allowable inertia of 12.29 kg.m2.